Many times you can get caught up with the bureaucratic process of going through every consultation step, making sure everything is clear on the quote and all the details have been figured out. 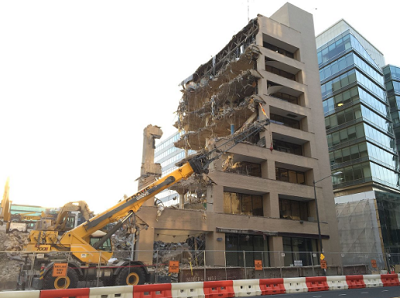 Although those steps are very important to ensure that both parties are aware of the agreement put in place, there are some rare times when you might need the demolition work to start immediately. Or you may have had some damage at your home and you need someone to come take care of it. In any case, we just want to let you know that we are extremely flexible when it comes to scheduling your appointment. So if for some reason, it is an emergency and we absolutely need to get our excavators real fast out working at your property, just give us call and let us know. We will act really fast on forming the plan of action along with the details of expenses. You won't have to go through the long conversations of figuring out what exactly it is you want. In these special emergency meetings, you pretty much demand the speed at which things are moving along. So we encourage you to speak your mind and reach out to us with any concern or question in regards to demolition. 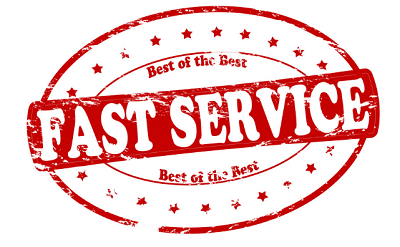 We are very good with our customer support efforts and will make sure you get served the soonest! Also, just because this is an emergency situation, doesn't mean that we will be sloppy in what we do. We are proud to say that we haven't had one major accident on our sites for all of these years we've been doing this. We are all insured and covered, however we never ever needed to face a situation during which someone was hurt or a nearby building was damaged. We are extremely careful when it comes to demolitions in Atlanta: whether those be partial or complete demolitions. Note that you may not need the demolition asap, but rather a fast quote that won't take weeks to get. Many demolition companies have a bunch of loopholes they need to jump through to give an accurate estimate (and whether it's accurate or not is a different story.) We really make sure the process moves forward relatively quickly but also in a responsible way. We are the type of people that get the job done without wasting time in useless areas. That is perhaps what has kept us in business for over 20 years: we are one of the best demolition contractors in Atlanta, Georgia. So we want to hear from you, and will be paying attention to every single detail on your building. Don't be afraid to ask questions: we make sure all our customers are well informed of their options and we walk you through a demolition "education" process so that we can all be on the same page, using the same terminology when trying to figure out a plan of action. Do make sure you go through the services we offer, and get the full picture of our capabilities as a company. So we encourage you to pick up the phone and give us a call to learn more about your options and how we can make sure we satisfy all the demolition needs and deconstruction services required by you. Thank you for putting your trust in Atlanta Demolition Services! We look forward to hearing from you!